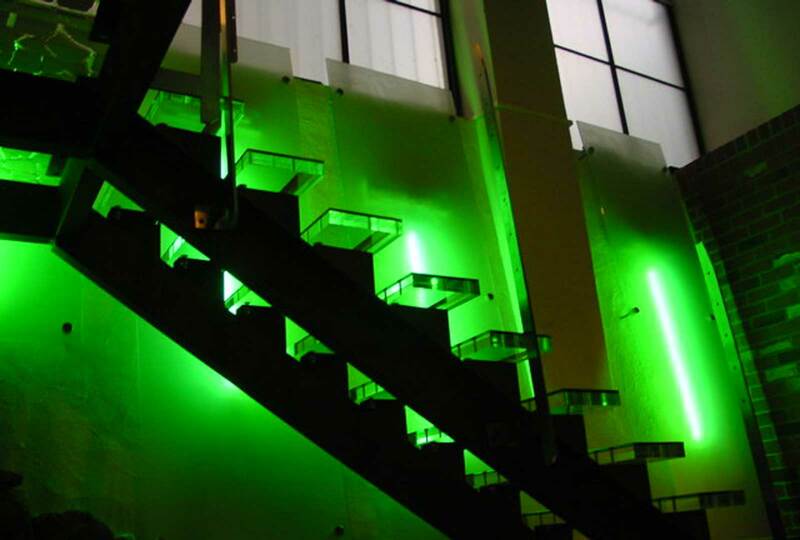 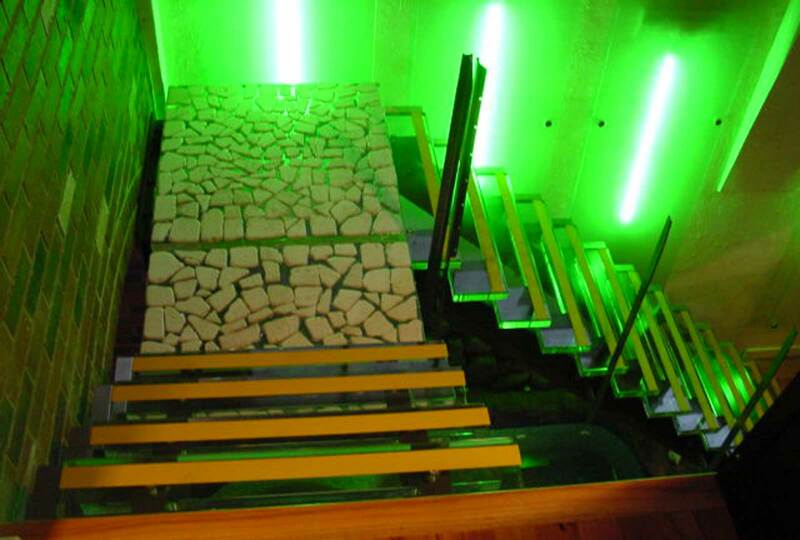 Augen Design was subcontracted to complete a completely custom made internal illuminated stair case. 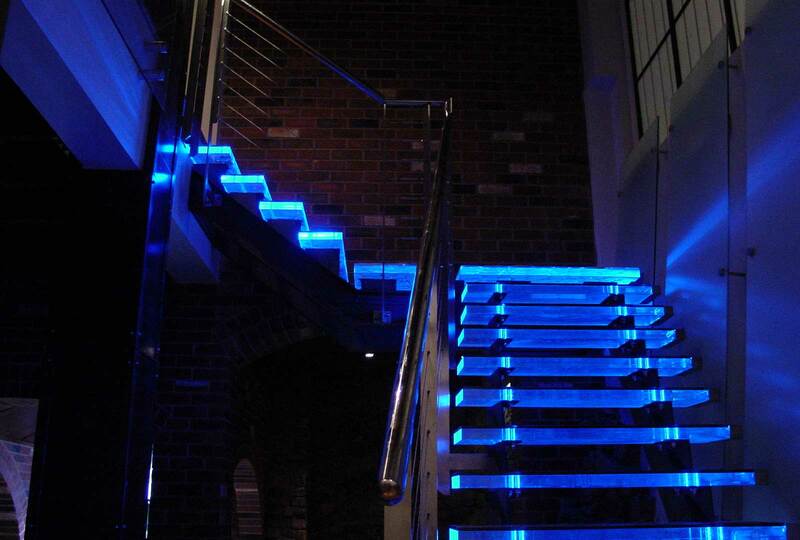 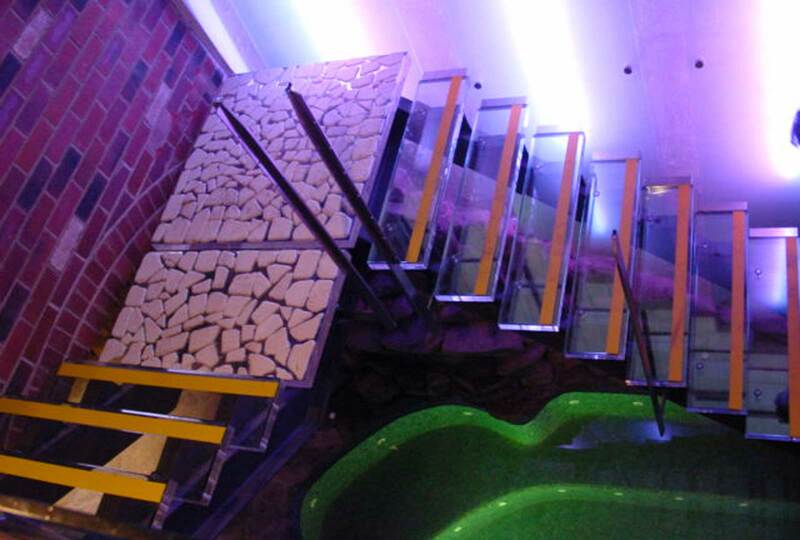 Augen used 50mm thick clear acrylic and 12mm toughened glass to achieve the illuminated blue floating stair. 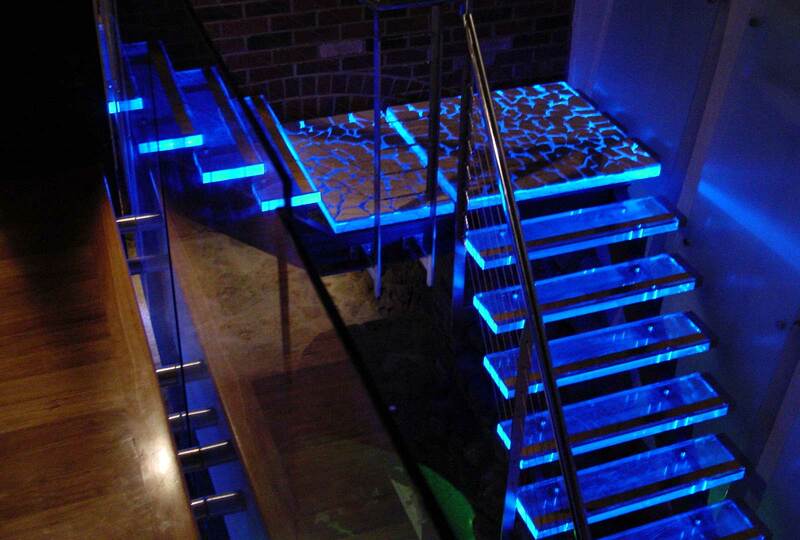 We detailed, engineered, manufactured and project managed the supply and installation of these one off illuminated stairs. 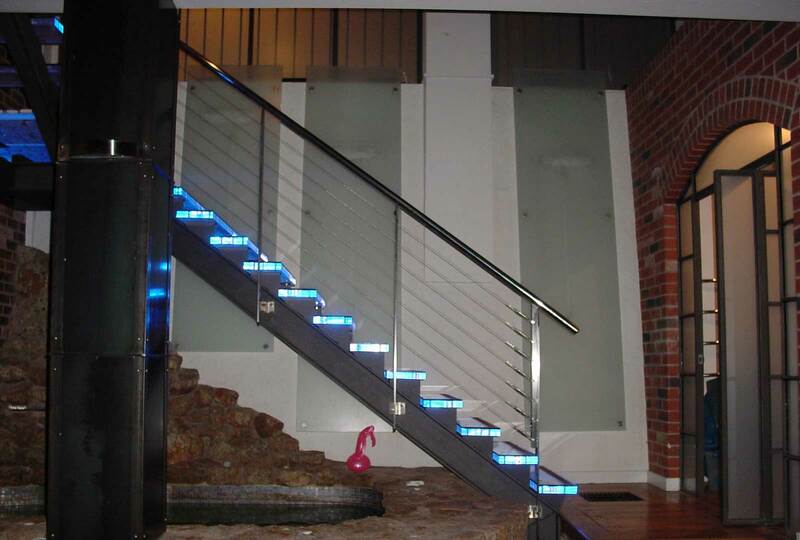 Illuminated by bright blue LED’s in a unique custom made s/s housing. 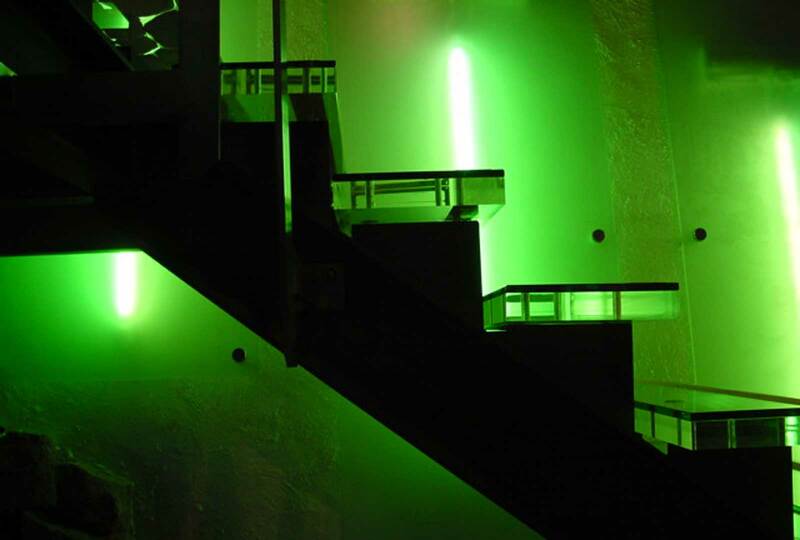 The lights were also controlled by clap sensors.